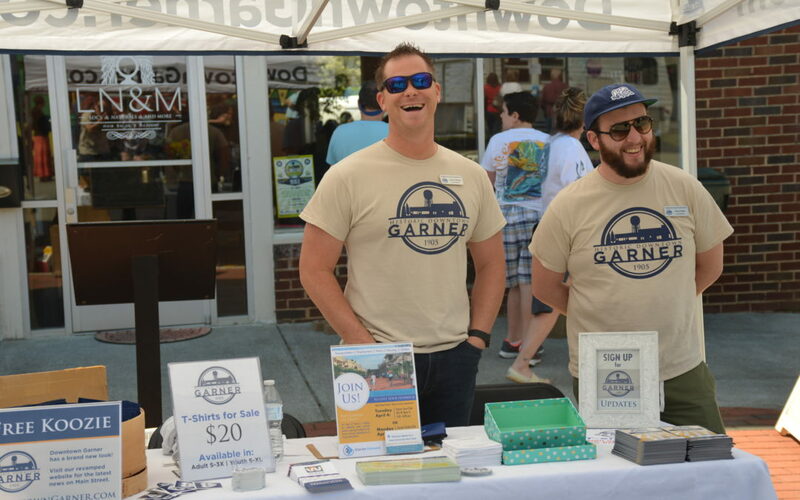 Learn more about the Downtown Garner Association and upcoming opportunities to share your talents and passion as we grow Downtown Garner to become a destination for local flavor and flair in our community! Hors d’oevres, craft beer, & coffee will be served. Formed in 2005, the Downtown Garner Association (DGA) leads development of Historic Downtown Garner as a vibrant business, entertainment, and cultural center through public-private partnerships. Historic Downtown Garner connects our small town roots with our future as a growing crossroads of cultural arts, recreation, and creative entrepreneurship in the community. The National Main Street Center has designated 47 North Carolina communities as accredited Main Street America™ programs, the North Carolina Department of Commerce announced today. Each year, the National Main Street Center and N.C. Commerce’s Main Street & Rural Planning Center partner to announce the list of all accredited Main Street America programs, recognizing exemplary commitment to preservation-based economic development and community revitalization through the Main Street Approach. 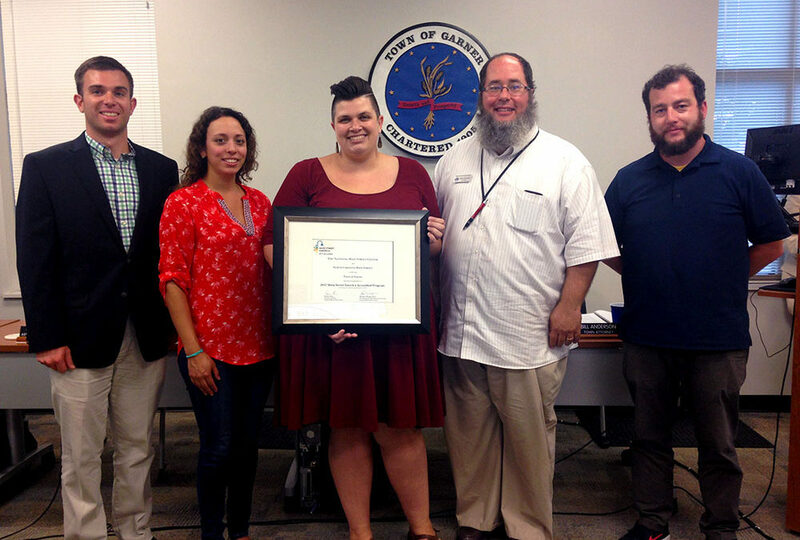 Each community’s performance is annually evaluated by the North Carolina Main Street staff in partnership with the National Main Street Center. The staff identifies the local programs that meet ten national performance standards. Evaluation criteria determines the communities that are building comprehensive and sustainable revitalization efforts and include standards such as fostering strong public-private partnerships, documenting programmatic progress and actively preserving historic buildings. In fiscal year 2017, North Carolina Main Street programs generated $200 million in local public and private reinvestment, helped open 319 net new businesses, generated 2,000 net new jobs, catalyzed the rehabilitation of 259 buildings, and clocked 139,000 volunteer hours. “We are proud of our communities that have worked hard to identify economic development strategies to transform their downtown districts through action within the framework of the Main Street Four Point Approach® of Economic Vitality, Design, Promotion and Organization,” said Liz Parham, Director of the NC Main Street & Rural Planning Center. The North Carolina Main Street & Rural Planning Center provides strategic planning and technical assistance, Main Street program guidance, training and education, including the NC Main Street conference, the state’s largest downtown revitalization educational event. Main Street America has been helping revitalize older and historic commercial districts for more than 35 years. Today, it is a national network of more than 1,600 neighborhoods and communities, rural and urban, who share both a commitment to place and to building stronger communities through preservation-based economic development. Since 1980, North Carolina communities using the Main Street America program model have leveraged more than $2.75 billion in new public and private investment, generated 23,472 net new jobs and 5,883 net new businesses, and rehabilitated more than 6,000 buildings. Main Street America is a program of the nonprofit National Main Street Center, a subsidiary of the National Trust for Historic Preservation. For additional information about the Main Street program visit www.nccommerce.com/MainStreet, or contact Liz Parham, director of the North Carolina Main Street & Rural Planning Center at (919) 814-4658.